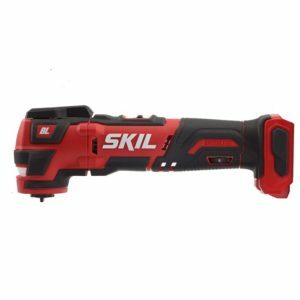 Skil has recently introduced a new line of cordless tools powered by a 12v slide pack li ion battery, the PWRCORE line. 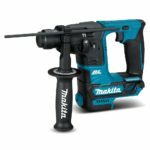 Currently they have 4 tools: a ½” brushless drill driver, a ¼” hex brushless impact driver, a brushless oscillating multi tool, and a bluetooth speaker. 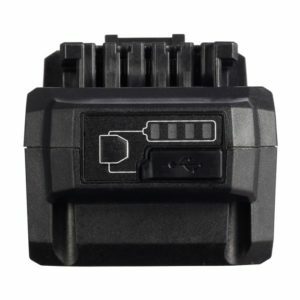 For batteries they’ve kept it simple for now with a 2.0ah compact and a 4.0ah fatpack. One nice feature on both batteries is they both feature a built in USB charging port to charge your phone or other devices on the go. Lastly the line has a charger with an impressive feature that charges the batteries to 25% in 5 minutes, which is impressive and very useful if you just need to finish up a small project. My thoughts: While these tools appear to be marketed towards homeowners and DIYers, I’m not so sure they couldn’t be used for light professional use. 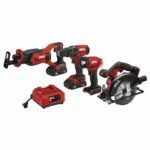 All 3 brushless tools achieve specs on the higher end of 12v tools with the drill putting out 350 in lbs or torque, the impact driver with 1,100 in lbs of torque, and the oscillating multi tool has a 3.6 degree oscillating angle and up to 18.000 oscillations per minute. 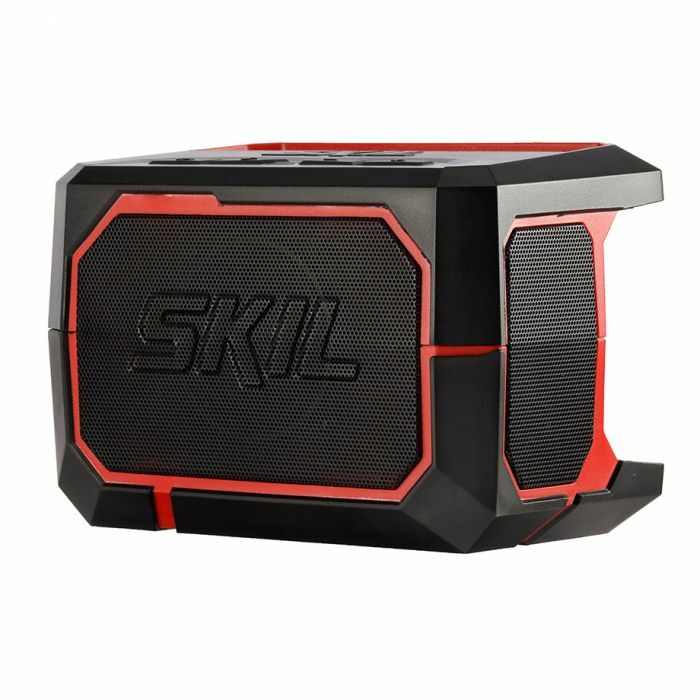 The bluetooth speaker features a working range of up to 100 feet, and is equipped with a 2.5” 10 watt speaker. With these specs, it should be interesting to see how they perform against tools marketed more towards professional users. 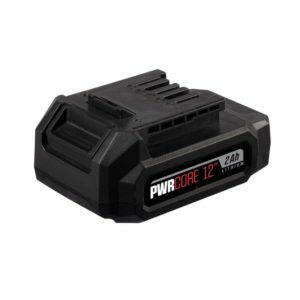 While they are geared towards homeowners, some of their stats and features compare very well with the best from the pro competition in terms of 12 volt. 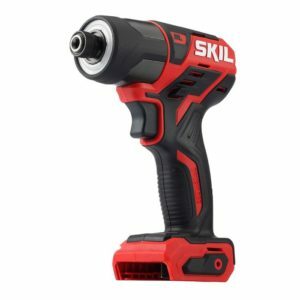 For example the Skil PWRCore drill has a brushless motor that puts out 350 in-lbs of torque and a 1/2″ chuck, those are similar stats to the mighty M12 Fuel from Milwaukee although Milwaukee’s come with metal ratcheting chucks and gearboxes. 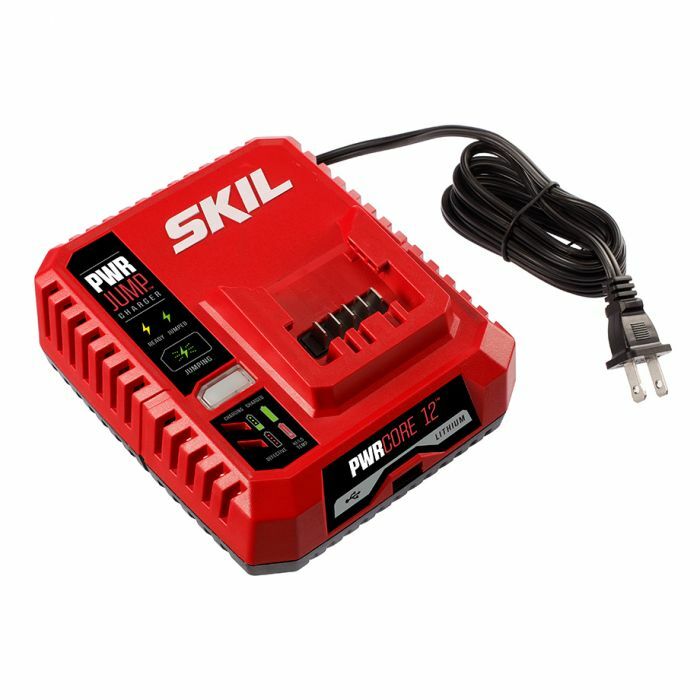 I’ve seen other 12V brands claim they had that much torque or more while offering a 3/8″ chuck, Ridgid I’m looking at you, but that’s not the case here with this Skil 12V model. 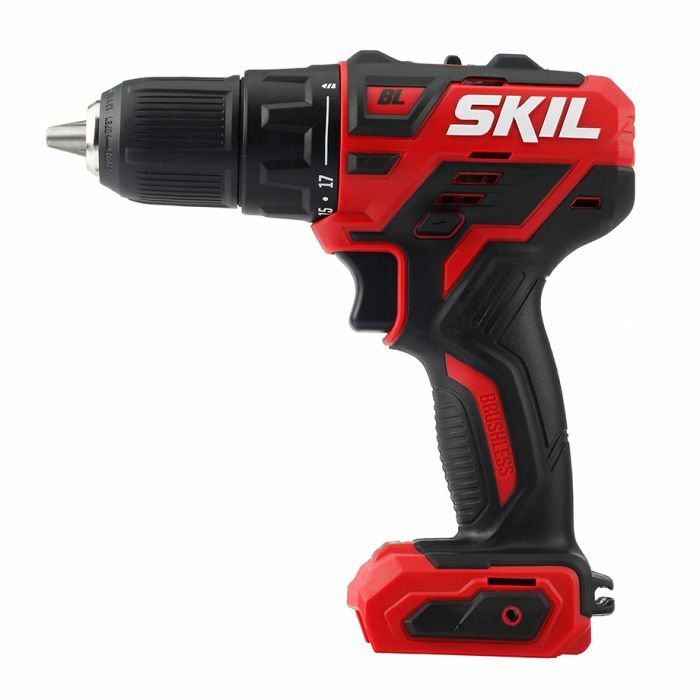 The Skil 12V impact also features a brushless motor and theirs puts out 1,100 in-lbs torque which on the high end as far as 12v impacts go. Their impact also features a true LED light ring behind the chuck for excellent shadow free bit illumination. 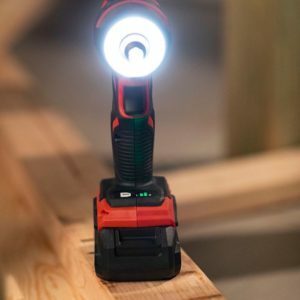 The Skil multitool also features a brushless motor and a similar LED light setup as the impact, although not a ring but still offers smooth even lighting. Their multitool also features a blade release lever for easy tool free blade changes. Other than Fein’s 12V model, the Skil 12V multitool is the only other 12 volt multitool on the market that offers tool free blade changes. 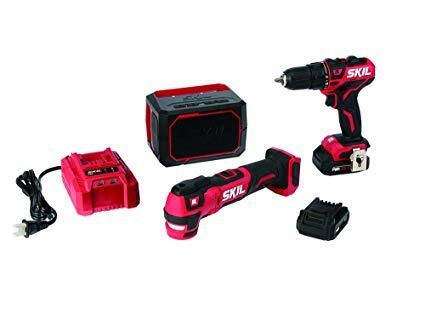 Also interesting is that Skil opted to go with slide pack batteries similar to what Dewalt and Makita have done with their latest 12V systems. 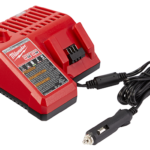 This allows tools like the drill and impact to stand on their own even with the compact batteries and also allows for a slimmer more ergonomic handle because none of the battery pack is inserted inside the handle. 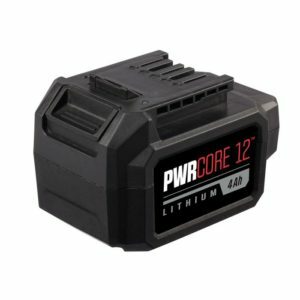 It’s nice to see they went straight to 2.0 ah for the compact and 4.0 ah for the fatpack battery. Their charger is listed to charge batteries in about 45 minutes which I’m assuming is the speed for the 2.0 ah battery pack. This charging speed is fast, not the fastest, but inline with many of the pro brands stock charger speeds so it looks good. A big thanks to Cody Robertson for sharing! Power On The Go—Plug in to the battery’s USB port wherever, whenever with PWRAssist™ Mobile Charging. 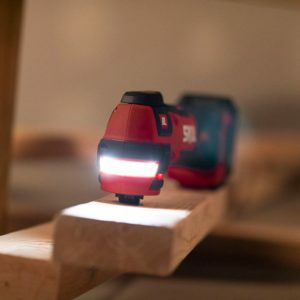 The LED light placement on both the impact and the multi tool are great. Plus the USB charge port on both the batteries and the chargers are nice touches. This stuff looks pretty decent.